5115 Portage Road | AVB Inc. Between Sky Zone and Salvation Army Family Store is a newly renovated 27,000 +/- square foot suite at 5115 Portage Road. This property is located directly adjacent to I-94, the Kalamazoo/Battle Creek International Airport, and public transit lines. The space is well equipped for retail, office, educational and warehouse users. 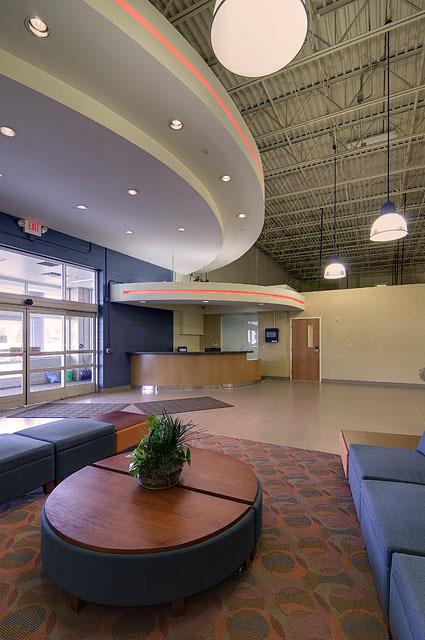 Furthermore, the available suite offers a contemporary lobby entrance, classroom, office, and lab spaces. In addition, the property features a prominent entrance with I-94 visibility. Ample surface and covered parking options are available on-site. Outparcel opportunities also available.